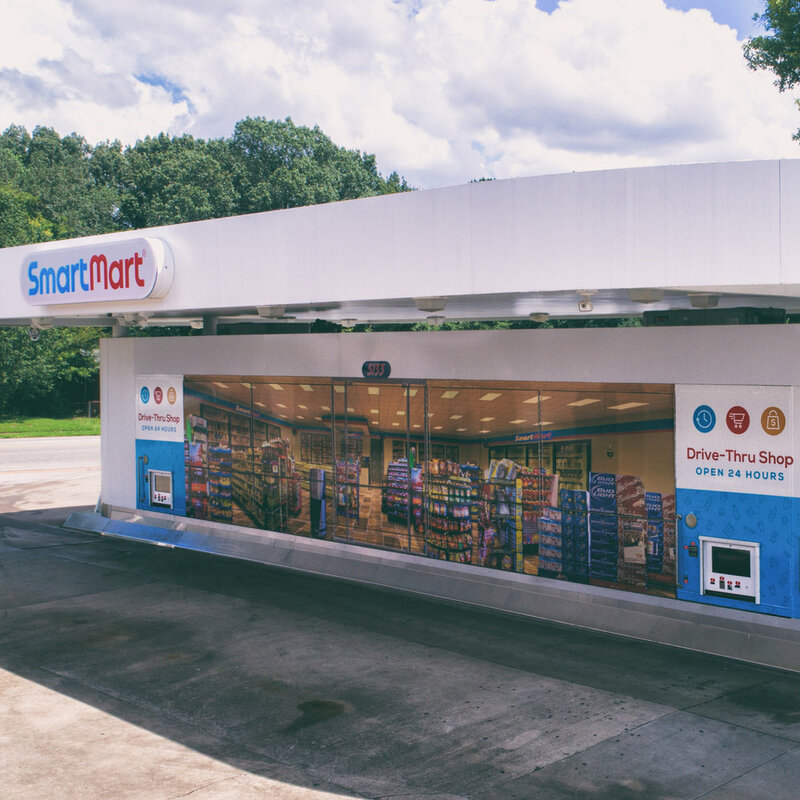 SmartMart is a drive-thru fully-automated store that allows customers to shop 2800 products (SKUs) from the comfort of their driver's seat. SmartMart is cashier-less. All orders are delivered to the customer using patented automated technology. The store is virtually monitored 24/7 by our technicians providing customer assistance and ensuring quality control. The 53 X 8.5ft store has four shopping ports each equipped with a touch screen, credit card reader, ID reader, and cash machine - allowing four customers to shop simultaneously. The store is accessible by vehicle and by foot. All technology is ADA compliant. SmartMart’s easy-to-navigate shopping interface allows customers to view products quickly and shop via touchscreen without ever leaving their car. Product information and images are easily uploaded on the backend with our inventory management software. Our cloud-based software gives you the tools to run your automated store from anywhere in the world. From checking IDs for age-restricted goods to virtually watching your customer's experience as they shop, our software allows for virtual monitoring of multiple stores at once. All products are tracked through the system's database. Meaning as soon as a customer purchases an item it is updated in your sales and inventory numbers - creating real time reports so that you can keep your hand on the pulse of your stores at all times. SmartMart's stocking app updates inventory numbers in real time during stocking. New product images and information are easily uploaded through our inventory management software. SmartMart stores come with 24/7 support for you and your customer. From customer service to technical support, our call center technicians are here to help! Your annual monitoring fee covers software upgrades and 24/7 on-call monitoring. SmartMart's seamless stocking process saves time and energy with our patented stocking vehicle and app. The stocking app and inventory management software makes it easy to update inventory and pull reports in real time. 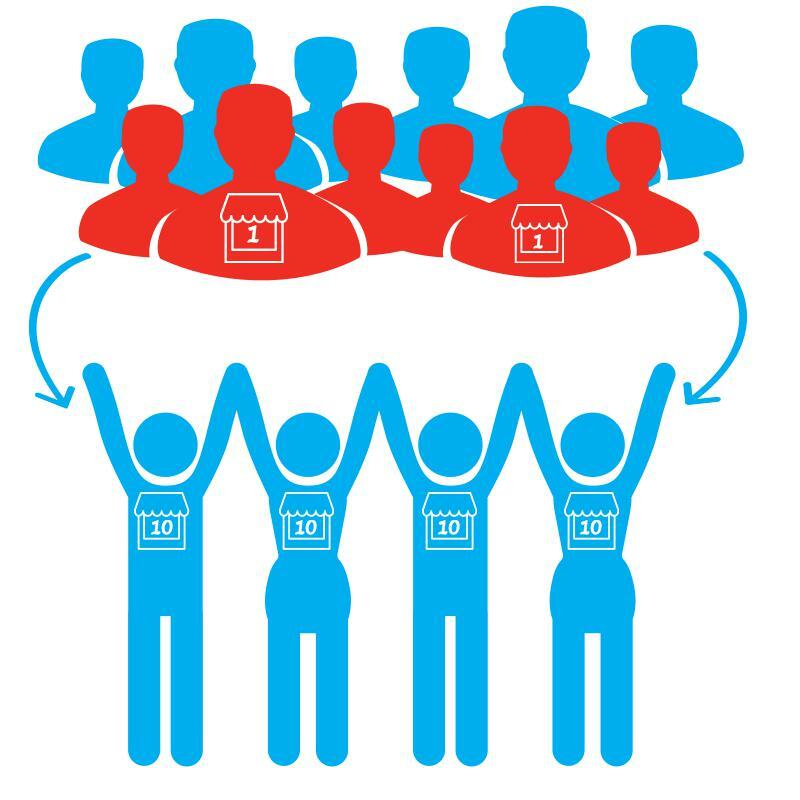 SmartMart’s business model reduces labor requirements by 72%. SmartMart requires no more than four employees to stock and service 10 SmartMart stores. We suggest two full-time employees to manage stocking needs for up to 10 stores, while two part-time employees manage grounds upkeep.